A study published in the Journal of Lipids compared results of people using coconut oil versus vegetable oil. On a reduced calorie diet and regular exercise regimen, both groups had a reduction in BMI. However, only the group using coconut oil had a reduction in waist circumference and an increase in HDL levels (good cholesterol). Vegetable oil group had a lowering of the good cholesterol and raising of total cholesterol levels. Coconut oil has an overall positive effect on cholesterol levels and may play a role in reducing abdominal fat. The Journal of Nutrition published a study explaining that medium chain triglycerides (MCTs) like those found in Coconut Oil can increase your metabolism and promote fat burning. MCTs are metabolized differently than long chain tryglycerides (LCTs) which are in vegetable oils. Unlike LCTs which are readily stored in your body, MCTs are not stored, but sent directly to the liver where they are used immediately as energy. Adding Coconut Oil to coffee yields many positive results. It can help raise HDL levels and reduce waist circumference for overall health. It can also help to increase metabolism and give you an additional boost of sustainable energy. It is important to note that, as part of a healthy diet, all fats should be limited. Coconut oil should replace other oils, not be in addition to them. Coconut oil comes in both a liquid and solid form. When adding to coffee, choose the solid form. Brew your coffee as usual. Pour hot cup of coffee into either a blender or blender bottle. Add nonfat milk (dairy, soy, almond,etc) to coffee. Then add 1/2 tablespoon coconut oil. 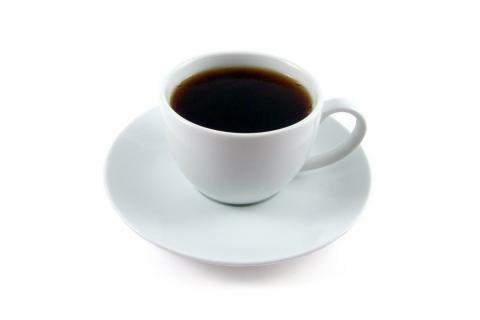 (Limit to 1 Tablespoon Coconut Oil for 2 cups of coffee a day.) Blend or shake well. Enjoy your delicious and creamy blended drink that is not only good for your heart but also good for your body.